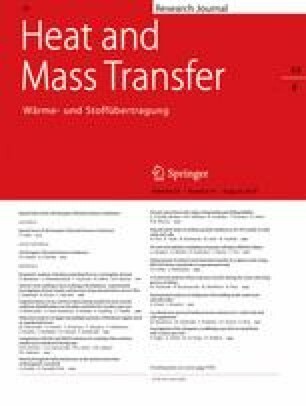 This paper presents a numerical analysis of heat and mass transfer during the steam reforming of ethane. From a chemical point of view, the reforming process of heavy hydrocarbons, such as ethane, is complex. One of the main issue is a set of undesired chemical reactions that causes the deposition of solid carbon and consequently blocks the catalytic property of a reactor. In the literature a carbon deposition regime is selected by thermodynamical analysis to design safe operation conditions. In the case of Computational Fluid Dynamic (CFD, hereafter) models each control volume should be investigated to determinate if carbon deposition is thermodynamically favourable. In this paper the authors combine equilibrium and kinetics analysis to simulate the steam reforming of methane-ethane rich fuel. The results of the computations were juxtaposed with experimental data for methane steam reforming, and good agreement was found. An analysis based on the kinetics of reactions was conducted to predict the influence of temperature drop and non-equilibrium composition on solid carbon deposition. It was found that strong non-uniform temperature distribution in the reactor causes conditions favourable for carbon deposition at the inlet of the reformer. It was shown that equilibrium calculations, often used in the literature, are insufficient. This research was partially supported by FIRST TEAM programme (grant no. First TEAM/2016-1/3) of the Foundation for Polish Science co-financed by the European Union under the European Regional Development Fund.